Looking for a place to connect with your neighbors, have fun, make a joyful noise, and make a difference? Come sing with us! There's also a Children's Chorus. 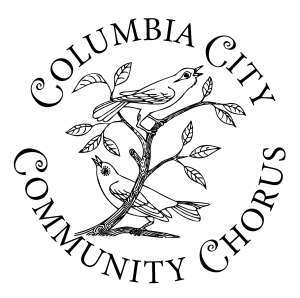 Sing your way into the New Year with your friends and neighbors in the Columbia City Community Chorus! Our Winter Session starts Tuesday, Jan 10. We will be performing a concert towards the end of this session to benefit Mary's Place, a shelter for homeless women and children. The Columbia City Community Chorus, directed by Kathleen Tracy, welcomes people of all ages and cultures to come together in a fun, inclusive and spirited singing community. There is no audition, and no singing experience is required, just a desire to sing in harmony with others. The Chorus rehearses on Tuesdays 7:30-9p downstairs at the Columbia City Church of Hope 3818 S Angeline St Seattle, WA 98118.